Beautiful and rare small chandlier from 1940`s, Italy. 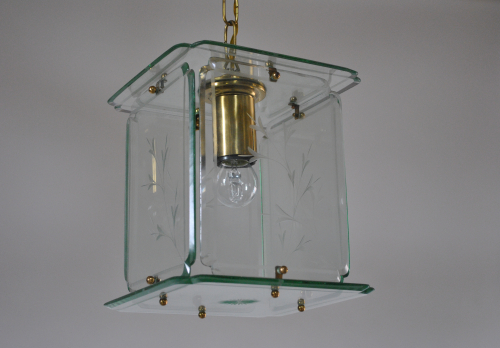 Comprised of 6 hand bevelled and etched pieces of green glass, supported by small brass ties. Total height 75 cm, though this is adjustable.